Practice Update – What a busy couple of months! Home » Blog » Practice Update – What a busy couple of months! Over the past few months I have been travelling a lot, both within the country and overseas. 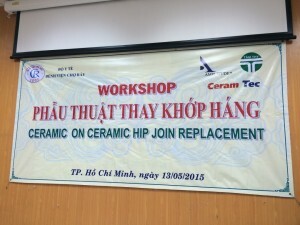 In May I travelled to Ho Chi Minh city in Vietnam to assist in education for some of the local orthopaedic surgeons. 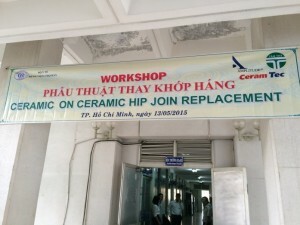 Ceramic hip replacement has been introduced into Vietnam, and I was part of a group to assist that process. In addition to some lectures, we performed two hip replacements as part of the training and education process. Shortly after that it was down to Melbourne to examine for the Royal Australasian College of Surgeons. Four days of tough examination for the candidates. In June it was off to Lyon, France for ISAKOS (International Society of Arthroscopy Knee Surgery and Orthopaedic Sports Medicine) Meeting. This is a sports and knee surgery meeting held every two years and was a great programme showcasing latest thinking and techniques.